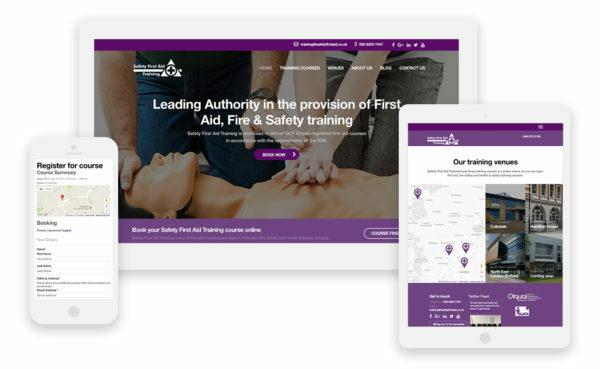 One of our most recent projects was the development of a new website for Safety First Aid Training, a leading provider of first aid, health and safety and fire training. Established in 1959, Safety First Aid Training provides Ofqual approved first aid, health and safety and fire training courses. Safety First Aid Training’s highly experienced instructors can deliver courses either in the workplace or at a network of training centres in the Greater London area. The training courses focus on building knowledge, skills and confidence in order to gain nationally recognised qualifications. The old Safety First Aid Training website was suffering from extremely slow-loading pages. 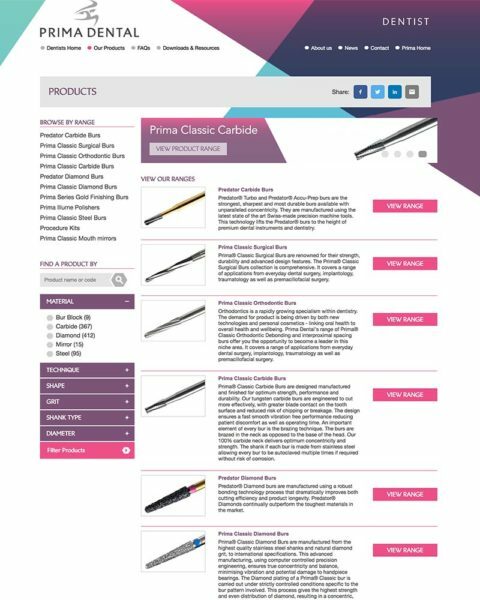 Safety First Aid Group were concerned that this was affecting online sales, with visitors losing patience with the site and going elsewhere. Another factor that was likely to be contributing to disappointing sales was the site’s overly complex booking system. Safety First Aid Group wanted their new site to look clean and professional, with simple navigation, much quicker-loading pages, and a straightforward booking system including easy online payments. 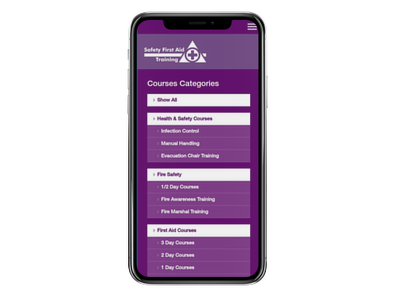 The new Safety First Aid Training website provides potential clients with all of the information and functionality that they need, presented in a simple and professional way. 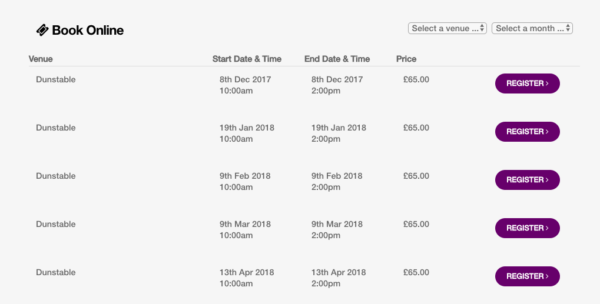 The homepage gives a clear outline of the business and its services, while the training course section makes it easy to find and book places on specific courses, with a venue map also allowing customers to search training locations. A new blog aims to engage and educate potential clients. 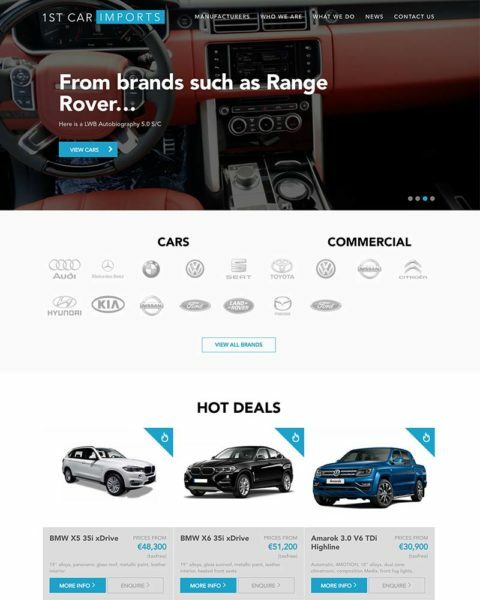 The website has been built in WordPress for SEO purposes, and integrates with SagePay as its primary gateway for bookings. 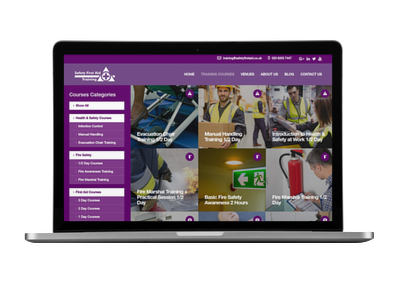 The new website, with its clean design and optimised performance, now properly reflects the position of Safety First Aid Training as one of the leading providers in this market. With a much more user-friendly booking system in place, Safety First Aid Group can also be confident about the growth of their online sales. 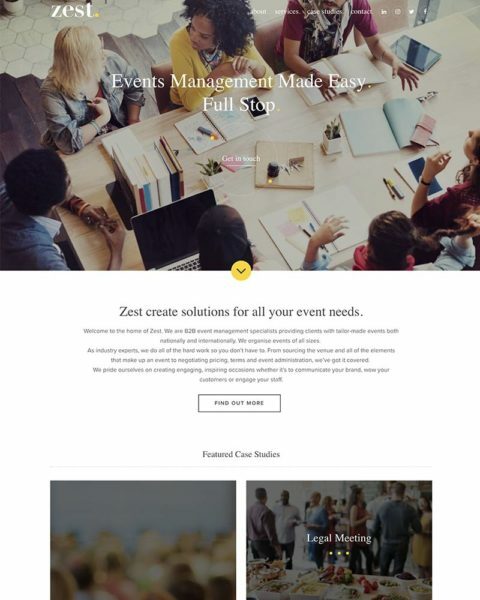 The launch of a new website always opens up valuable opportunities for related marketing activity, and this should also generate renewed interest, new leads and more sales.